Tried everything but your skin is still drier than the Sahara? Sometimes you feel like you’ve tried every hydration product on the market, but absolutely nothing is working. Fortunately, help is at hand. If you long for the beautifully dewy, bouncy skin Korean women are known for, check out the five Korean beauty tips below. They’re easy to implement and will help save your sanity! Facial oils are fast becoming a skincare staple in the beauty community, and Korean skincare is no exception. There are lots of different oils you can choose, but the Korean secret is in the special way that K-beauty does it. It’s as simple as adding a drop of facial oil to each and every step of your skincare routine, even during your cleansing step. It’s a common misconception that all oil is bad for your skin — your skin actually produces its own oil to help keep moisture in. Problems arise when your skin is producing too much oil, and while no one wants oily skin, introducing oils into your routine can actually help your skin to regulate its own oil production, leaving you with softer, less dry skin. If you’re weary of adding heavier oils to your routine, you don’t need to worry. 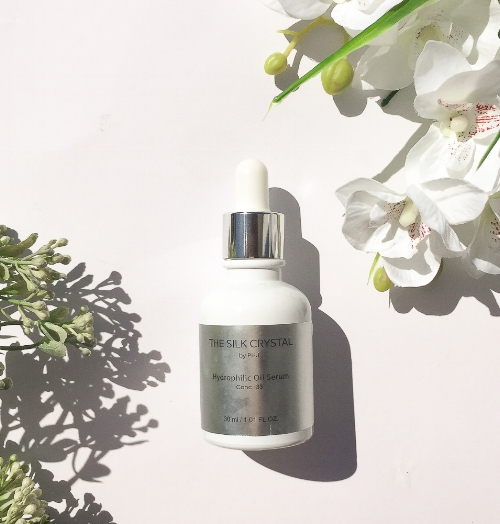 This featherlight, fast-absorbing The Silk Crystal Hydrophilic Oil Serum will be the perfect addition to your K-Beauty routine to combat your dry skin issues. It is formulated with Squalane, which is clinically proven to be non-irritating and non-comedogenic, making it absolutely ideal for those who have sensitive skin and are also prone to acne or blackheads. If you’re ready to go for the harder hitters, look no further than this moisturising, super nutrient-rich oil, The SanDaWha Luxury Camellia Soothing Body Oil. Camellia oil is naturally high in anti-oxidants and is a rich source of Omega 6 linoleic fatty acids, providing the ultimate skin nourishment and sealing the moisture within the skin to keep you supple 24/7! Although the name mentions that it’s a body oil, it also makes a great facial oil. An oil that can be used on your entire body will not only help your skin, but also make your skincare routine that little bit easier! This Korean beauty routine has been hyped up by the beauty industry, and for a good reason. Just in case you’re wondering what the he** is the 7-Skin method?, it’s a beauty routine where you apply a toner 7 times to really pack the hydration into the skin. It’s that simple but it’s surprisingly effective! But before you start splashing around the toner you have now, there is a catch. 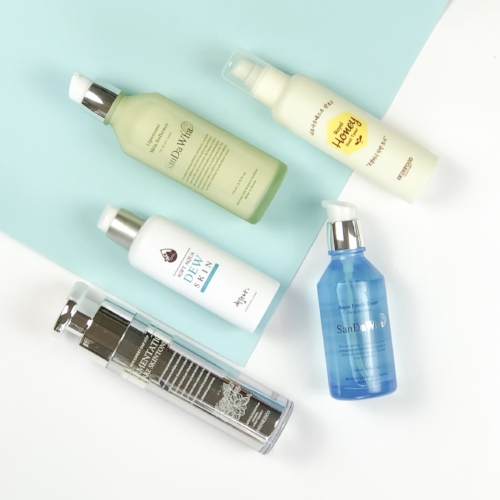 As you’re applying such a large amount of toner, you need to choose the correct one— you need to be using a hydrating toner, not an astringent toner. See this 7-Skin Method Toner Review article on why you need to carefully choose a toner when you are going to adopt the 7-skin method. If you use the wrong toner, not only might you make your dryness worse, you may also find yourself with new problems! Be sure to do your research. One of our favourite toners is Like Dew’s Dew Skintoner, which is formulated to calm your flaky skin while detoxing and strengthening skin barrier function, which will give you healthier skin in the longer term. It is very hydrating and soothing, and will give your desert-dry skin a radiant boost. Korean sheet masks are the crown jewel of Korean beauty products. Not only do you feel like you’re improving your skin just by wearing one, they are chock full of super hydrating ingredients that ensure your skin is left supple and glowing. They’re a great excuse to take some time out for yourself while you moisturise and give nutrients to your skin, and really keep them locked in there! 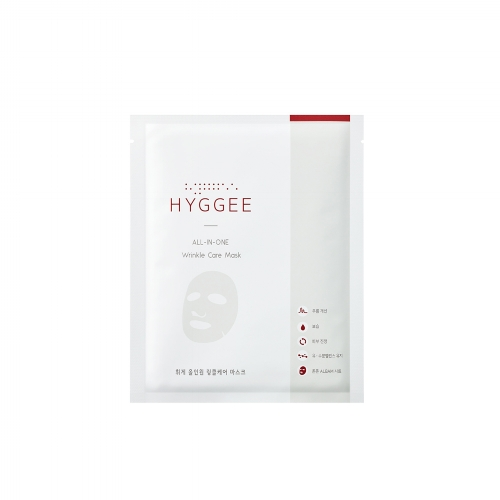 Dry skin is more prone to wrinkles, so it’s good to get on top of moisturising —there is nothing like the Hyggee All-in-One Wrinkle Care Mask to provide a total solution for your dryness and wrinkle worries. There are usually multiple reasons for why your skin is so dry. It could be hereditary, but it could also be because of skin barrier problems. Your skin barrier can become compromised as a result of over-washing and over-exfoliating. Your skin care products don’t necessarily need to contain any texture to be causing damage either, sometimes it’s the chemicals they contain (or don’t contain) that are causing the problem. Look for Panthenol, Ceramides, Madecassoside and Collagen to restore healthy skin barrier function and lock every drop of moisture in your skin. 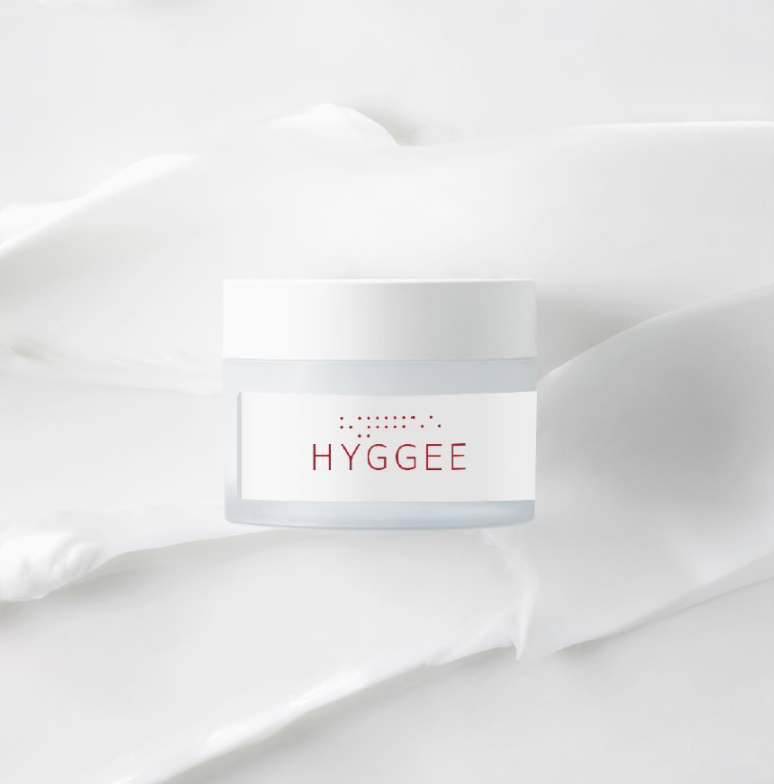 The Hyggee All-in-One Cream has all of these skin-loving ingredients and will help strengthen skin barrier function while brightening the skin and not causing further harm. While squeaky clean skin might feel amazing, you might want to rethink your cleansing routine. Because most of us wear sunscreen or makeup, it’s important we cleanse to remove leftover product at the end of the day, even though cleansing is the most skin-damaging process that most of us do regularly. How can we fix this problem? 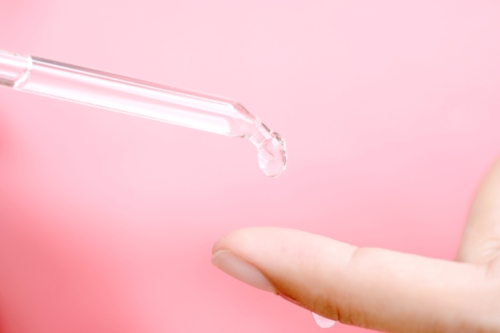 The best option for dry skin is oil cleansing, a Korean beauty secret. Oil cleansers are very effective at removing makeup without stripping the skin of its natural oils, therefore avoiding drying you out after cleansing. 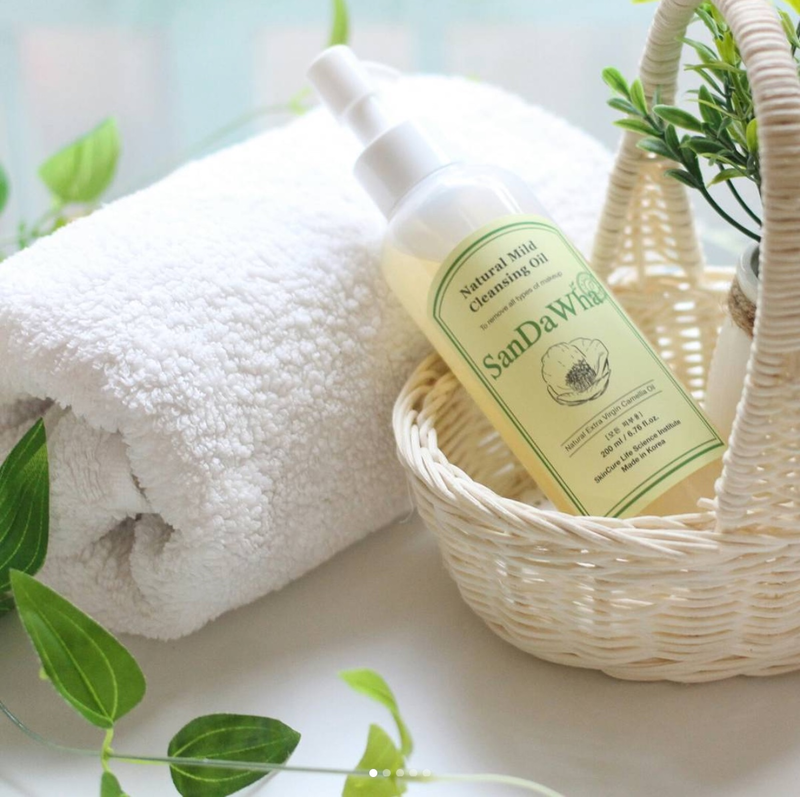 The SanDaWha Natural Mild Cleansing Oil has been our favourite — infused with divine, anti-oxidant rich camellia oil, it restores the skin’s natural moisture during cleansing. Not only will the right oil cleanser stop making your skin dry, it will also help moisturise it, hopefully solving your problems twice as fast. 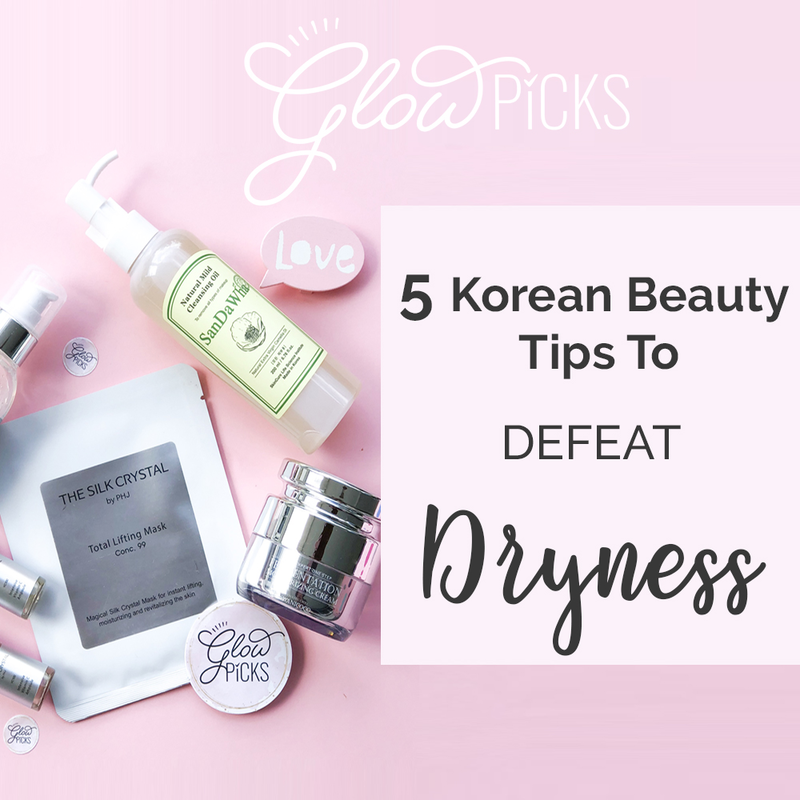 So these are five easy changes that Korean beauty can bring to your routine to help your skin look brighter and clearer while getting rid of your dryness. You’ll be able to stop worrying about seasonal changes drying you out, and think about updating your wardrobe instead! Would you like to discover the best skincare routine for your dry skin? Contact us to find out more!